ARLINGTON, TX – Linda Vaught Delashmit, 70, of Arlington, TX, passed away Tuesday, March 11, 2014 in Dallas, TX. Born to the late Fuqua and Eddith Vaught in Bremen on August 9, 1943, Linda graduated from Murray State University in 1965, attended Auburn University, and received her master's degree from the University of Texas at Arlington. 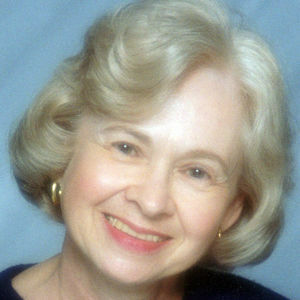 She retired from the University of North Texas and the Arlington Independent School District after teaching math, physics, and computer science in Kentucky, Tennessee, Florida, Pennsylvania, and Texas. She enjoyed traveling, genealogy, and most of all her wonderful grandchildren. Linda was a member of First Baptist Church in Arlington. Survivors include her son, Mark (Erin) Delashmit, and grandchildren Christian and Victoria of Southlake, TX; son Rick (Sherry) Delashmit of Cedar Park, TX; and very special friend, Merlin "Mitch" Michaud of Kennedale, TX. In addition, she is survived by her brothers, Don (Betty) Vaught of Albuquerque, NM and Larry (Freida) Vaught of Jacksonville, FL; sister Jettie Carol (Dale) Harlan of Charlotte, NC; and several nieces and nephews. Graveside funeral services will be Tuesday, March 18, 2014 at 11:00AM at Bethlehem Cemetery in Bremen, with Rev. Dale R. Harlan officiating. Burial to follow. 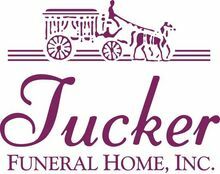 Tucker Funeral Home is in charge of arrangements. The family requests that expressions of sympathy take the form of memorial contributions to The Trigeminal Neuralgia Association The Facial Pain Association (www.fpa.support.org), UT Southwestern Medical Center at Dallas, Department of Neurosurgery; Baylor University Medical Center Research Institute at Dallas; or a charity of your choice. Online condolences may be made at www.tuckerfuneralhomes.com. I taught with Linda at Martin High School in Arlington, TX. She was a very good friend to many of us at MHS, a member of our close lunchtime group, and a genuinely lovely, charming person. I am deeply saddened at her passing but treasure the years of memories she left with us. I am so sorry for your loss. Our Christmas card was returned this year and I realized something was very wrong when her phone was no longer in service today. I don't know if you will get this, but I wanted to write to you. You two were very young when your Dad and Mom lived in Pennsylvania and they stopped by to see us in Dayton, Ohio. It was such fun to meet you then and to hear about you as you grew up and became adults. My friend Linda was a wonderful person and I had no idea she was so ill. She had many health issues for as long as I have known her, but she always had a positive attitude. We graduated from Murray in 1965 and went on to Knoxville to graduate school together (after we resigned from our teaching jobs in Miami, FL--never started teaching there, but we had signed contracts - and were fingerprinted in 1965 to qualify to teach there). We shared many good times and some not so good. Harold and I were in Texas a few years ago and Linda came to visit us and share a meal at the convention center where we were staying. I also met your Vaught grandparents when we were in college and stayed at their house near Central City as well as Aunt Jettie and Uncle Larry in Florida. We could always pick up our conversation as though we did it every day. Thank you for being so attentive to your Mom over the years. I surely treasure our memories.